really quick painting "jojo the clown"
striped longsleeves always reminded me of mcdonalds and baggy pants also remind me of clowns, so through a little weekend boredom and TA DA, jojo is born. OK, remember the skeleton guy... Well he's already rigged and Ive started doing some animation tests on him, nothing really finished yet, just a simple walk cycle. Now for the other guy, Ive completely forgotten about him heheheh. All he has are bones, probably gonna finish him today now that i know about him hahah. 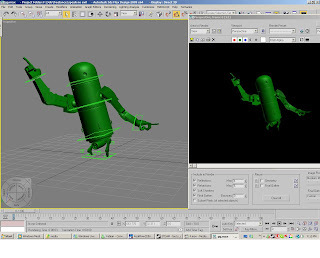 The new robot guy is some model I did in max how to learn rigging in max. Sorta getting the hang of rigging now but i only know how to do simple rigs in max, oh wells gotta start somewhere. The design was based on Ashley woods pipebot. 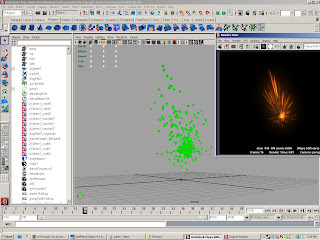 Ive also started learning some realflow, and I played around in maya abit for some particle effects I might wanna use. Woah, I'm Kinda everywhere at the moment but thats ok. I usually work on alot of projects at thesame time so i don't get bored hehe. 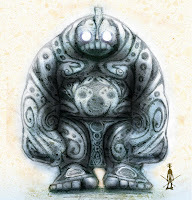 Just forgot about the big golem guy... gonna finish him up now. Then do some animating... or realflow... wait I havn't touched zbrush in awhile, might do some of that too. Just finished modeling and uving these two characters. 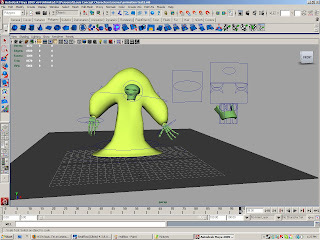 Originaly I was just doing them to practice modeling in 3ds max but i think I'm gonna texture, rig, and animate it later, got the uvs done already so why not. they're based on some concept art characters I did in class. Changed they're proportions abit and simplified them abit... 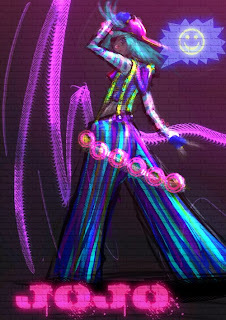 But i think they ended up ok. Anyways heres the concept art and I'll update more later. This is the shortfilm me and my groupmates did for our final project in The One Academy. Its got some explosions and liquids that look pretty cool and were done by me :D.
This is my Demoreel, its pretty long but thats because I'm a generalist so theres a lot I have to show. I rig, model, animate, and do special effects so yeah... Its over four minutes but do check it out! 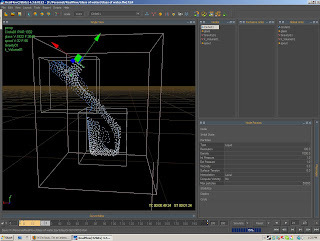 In the modeling section I didn't have enough time to show topology, It would make the reel too long. 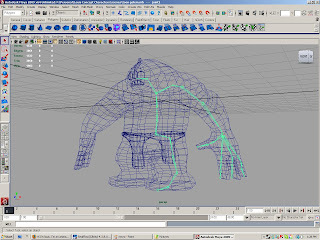 So check out the posts below for some topology. I'm Interested in getting a job in singapore or in malaysia, preferably Singapore. 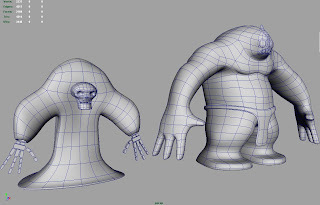 Anyways, first character was for a lipsnc assignment so only modeled till the torso. If you wanna see the animation you can check out my demoreel, he's in it. Everything done by me, except for the voice. Second guy was for a short animation for my brothers graduation campaign, pretty cool idea. 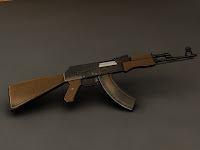 Modeling, rigging, Animation, done by me. Idea and compositing done by my brother. He's also in my demoreel so check that out too. Third character is just some generic guy i did for an animation class. You can see him doing walkcycles and stuff in my demoreel.